The Montessori methods were very new to us (first time parents) when we met the Montessori Place team. We were instant converts and eager to learn more we enrolled on the ‘Parents as Guides’ course. 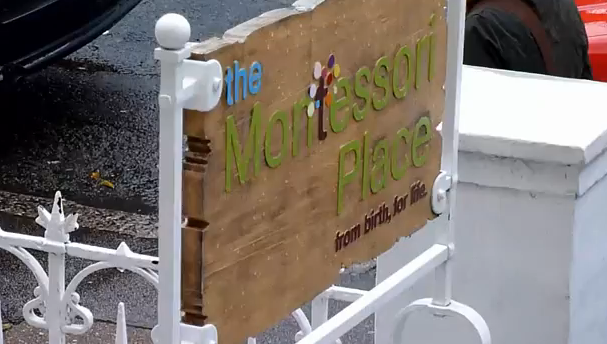 We, as a family, have now been part of the Montessori Place community for some 8 months (our daughter has just turned 1 yr old). Our time with the ‘ever patient, ever committed to development, never tiring of the wonder of children’ team, has been fantastic; fun, exciting, informative. We have found the evening discussion groups very useful and have been inspired to look at the world through a childs eyes – how very refreshing! We have been taking our 16 month old to the parent and child groups at the Montessori Place since she was 11 months old and she will start attending the infant sessions in June. She has a fantastic time and can’t wait to get in the door when we arrive. We are first time parents and the build up to the birth was daunting. After the birth we also felt that we were constantly playing catch up as we did not know what to expect developmentally. The programme on offer at the Montessori Place is fantastic and has really got us thinking creatively about how to raise our child. Absolutely brilliant, nothing else like it out there in Brighton and Hove. A True 10 out of 10! I WISH THAT WE HAD KNOWN ABOUT THIS [from before our daughter was born]! Our experience with the Montessori Place is wonderful . The highly motivated and professional team offer invaluable support and knowledge of the baby growing which is so crucial for first time parents. We were impressed how a few weeks old baby was captured with the simple self made toys, mobiles and the big mirror. we believe our daughter has been given the right start to life which we are trying to continue on a day to day basis with the help of Montessori. They are so dedicated with tons of patience and knowledge… inspires confidence and peace of mind and gives you the ability to see the world through your child eyes which helps enormously to understand the real needs and desires of the little one as every child is unique. looking forward to experience the Montessori journey as our child grows up. Our Daughter, Lila, now 18 months, is at the Montessori Place in Hove and I have had the very good fortune to learn all about the baby’s perspective from the wonderful people at Montessori Place since her birth and before. I was amazed at her fascination for the Mobile in particular and other various Montessori objects (of beauty) I didn’t want to take some of them down in fact , they were hypnotic, so I am not surprised Lila was so captivated by the grace of the movement – makes a nice change from other baby toys around. It was so useful to learn so much about the journey of a baby, it has made the 1st 18 months a complete joy, alongside all the physical work of being a new parent. Thank you so much to The Montessori Place and the staff who give so much of themselves with such warmth..